Guokui King is a restaurant right across the street from the Chengdu Sheraton where I was staying at. 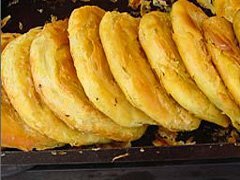 锅魁 or "Guokui" is a traditional food stand snack food of Chengdu, a layered baked pastry with meat or green onions wrapped in it. There are also sweet Guokui with sesame and sugar or sweetened red bean paste. 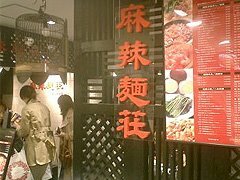 While the freshly made guokui on display looked tempting, I only ordered the other food item that is part of this restaurant's name, the 担担面 or Dan-dan noodles. 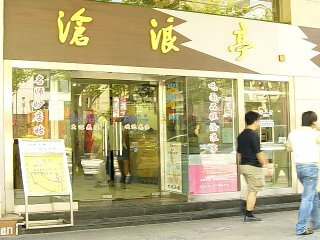 I visited Guokui King around lunch time on a weekday and the store was really busy, filled with high school students from the school nearby and local office workers. Just trying to make my order was a challenge since the crowd of people did not form a line, just shouting their orders at the cashier. I had to use my questionable Chinese to get my order in, luckily Dan-dan Mian is not that hard to pronounce. 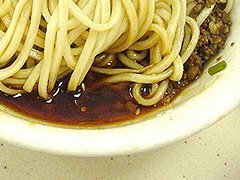 The Sauce - is a typical Sichuan style dan-dan noodle sauce, with spicy red chili oil, Chinese peppers for the numbing sensation, and some other spices like Chinese five spice. Besides the spiciness this sauce was quite boring, not offering many other flavors. The Noodles - were straight noodles, cooked soft, almost soggy. The Toppings - are some deep fried minced pork, not much seasoning to them either. Overall - Guokui King should probably keep its focus on just the pastries. Restaurants in Chengdu all gets reviewed and ranked by the city. 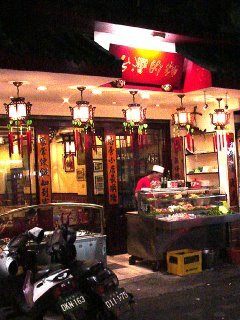 On the wall of this restaurant was a certificate from Chengdu city stating that the Dan-dan noodle of Guokui King gets a "passing grade"... A passing grade like "D" maybe? I couldn't agree more. Located across the street from the front entrace of Sheraton Chengdu. 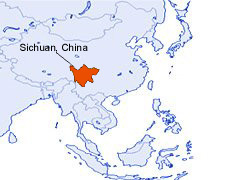 The directions in Chinese are: 成都喜来登酒店斜对面. Ma-ra Mensou is a ramen place located in the lower floor of the Lumines department store in Shinjuku. 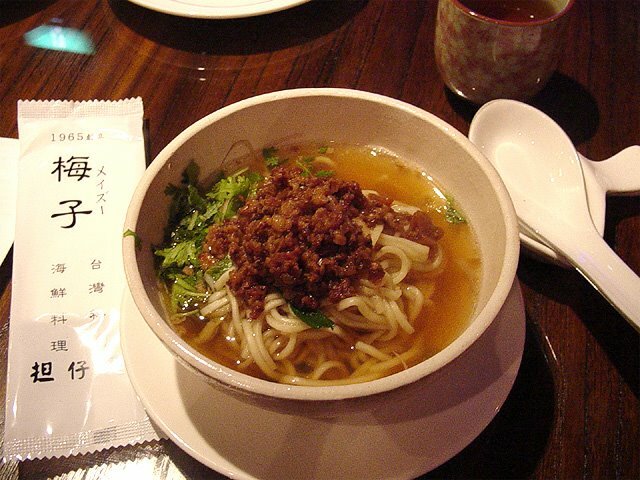 The name Ma-ra Mensou translates to "numbingly spicy noodle house" and is suppose to describe the sensation of eating Sichuan style ramen noodles. Since I was headed to Sichuan's capitol, Chengdu after my brief trip to Tokyo, I thought I'd give this place a try to see how authentic it was. I ordered their 担々麺 (tan-tan ramen). The soup - is a sesame flavored soup that doesn't have much depth at all. The sourness from vinegar actually dominates over any other flavor. The broth is very thin, just a sour, sesame flavored soup. The Noodles - are thin straight noodles cooked regular firmness. While the noodles are decent, it doesn't really make up for the mediocre soup. The Toppings - a five spice flavored cooked egg and a piece of broccoli. Nothing special. Overall - a poor quality ramen that is an imitation of an imitation. The Japanese tan-tan ramen is far from the real Dan-dan noodles from Sichuan, Ma-ra Mensou is merely imitating the Japanese interpretation and does a poor job at it. Japanese tan-tan ramen focuses on the depth of the flavor of the soup, while Sichuan dan-dan noodles overwhems you with a wide amount of spices. Ma-ra Mensou does neither and is void of any character. 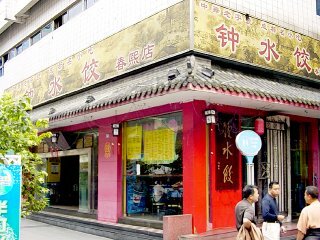 Zhong ShuiJiao is the name of this noodles and dumplings chain restaurant in Chengdu China (ShuiJiao translates to water dumplings). 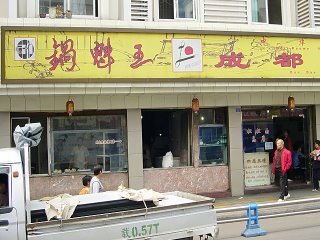 I was walking along the popular shopping district of Chunxi street when I saw this restaurant crowded with local merchants during lunch time. They had five ramen dishes on their menu, this being my first time in Chengdu, I was anxious to try the famous Sichuan ramen: 担担面 (dan-dan noodles). The Sauce - is a red chili oil sauce that was surprisingly not that spicy. There wasn't much flavor to the sauce, it just seems to be there to provide the spiciness. There were some 花椒粉 (Sichuan pepper) that supplied a bit of that numbing sensation famous in many Sichuan dishes, but it was just barely noticeable here. The Noodles - were slightly thin, straight noodles cooked quite soft. The noodles were a little dissapointing as they didn't provide much texture to the dish. The Toppings - were ground pork and some green onions. The ground pork was seasoned with 五香粉 (Chinese five spice) and was very delicious. The whole art of eating this dish was trying to evenly distribute the pork sauce with each bite of noodles. Overall - I was slightly dissapointed with my first bowl of dan-dan noodles in Chengdu. The noodles were too soft, plus I was hoping for something spicier, though the pork sauce was good. 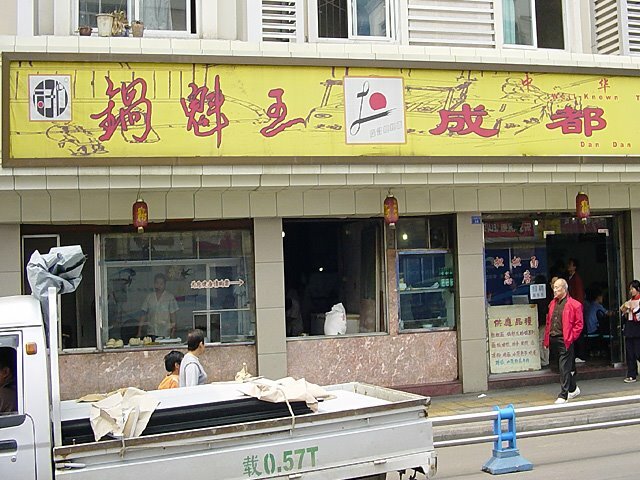 Zhong ShuiJiao is really famous for its Zhong ShuiJiao dumplings and I should've tried that instead. 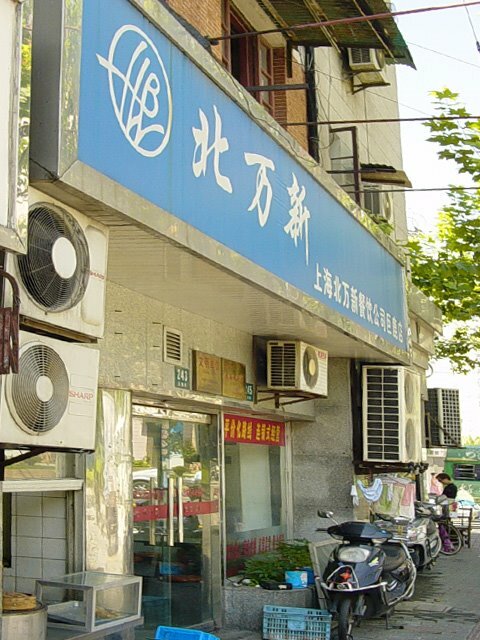 The Zhong ShuiJiao store that I visited was located on ChunXi street North section, in an alley near the McDonalds. 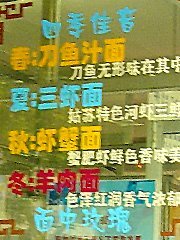 Though there are a half dozen of these stores all over Chengdu. 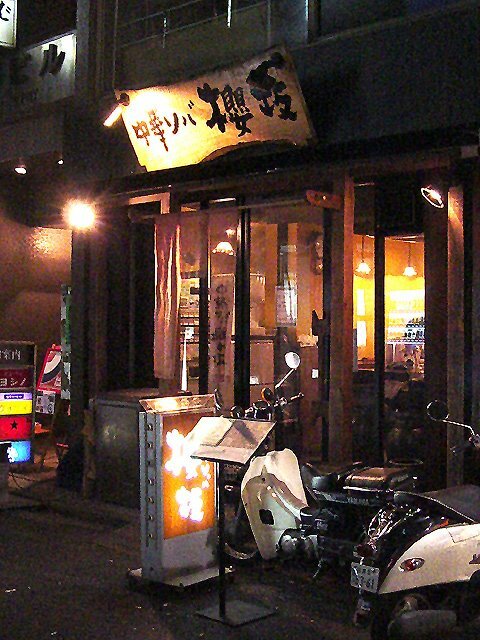 Kamukura claims to be Osaka's most popular ramen. Having established itself in Dotonburi, Osaka's most popular shopping district, Kamukura has expanded to a dozen stores in the Kansai area before starting two stores in Tokyo. I visited their store in Shinjuku's Kabuki district. Kamukura's store front looks more like a fashion boutique than a ramen store, but as I'll find out later, their decor wasn't the only thing out of the ordinary. I tried their most popular menu item 小チャーシュー煮卵ねぎラーメン (cha-shu pork, boiled egg ramen). The Soup - is a surprisngly light, slightly sweet pork and vegetable broth. Since the latest trend in Japanese ramen seems to be heavier with more oil, a soup that relies more on vegetables for the flavoring really stands out. However, the soup does taste quite thin, almost feels watered down compared to other ramen. They have a lot of toppings available on the counter that you can add as much as you want, after adding the soy sauce flavored nira (leek) the soup tasted more complete. I also tried some garlic, but it didn't match well with the soup at all. The Noodles - are slightly thin curly noodles cooked a little on the soft side. These noodles are springy and light, not the type of noodles that I like but seem to match the light soup just right. The Toppings - are lightly seasoned cha-shu pork, lot's of boiled napa cabbage, and a flavored boiled egg. With all the napa cabbage I felt like I was eating a Japanese hot-pot dish, like shabu-shabu or something. Napa cabbage and ramen just don't seem to mix that well. The cha-shu pork was tender and had decent flavor. Overall - a light and healthy ramen that doesn't really provide the "ramen" experience but you feel a lot less guilty afterward eating it. This ramen seems to be about the soup and the mixure of toppings that you can add such as leeks, garlic, flavored bean sprouts to add variety to the flavor of the soup. Try it if you are in Shinjuku and Shibuya and want a change of pace from the normal ramen, otherwise I'd recommend you try another place that offers a more standard ramen experience. 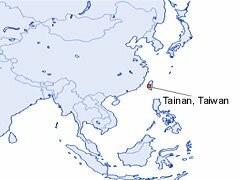 Tan-tan ramen noodles were originally from China's Sichuan prefecture area where it is considered a 干面 (dry noodle with no soup). I put this Tan-tan ramen under the Japan group because the Japanese variety has departed quite significantly from the Chinese version. 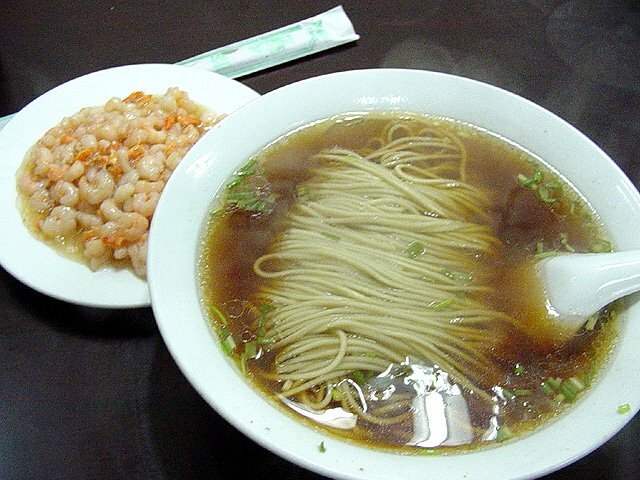 Japanese Tan-tan noodles were imported to Japan in the 1980's, where it first became popular in Chinese restaurants in Tokyo. 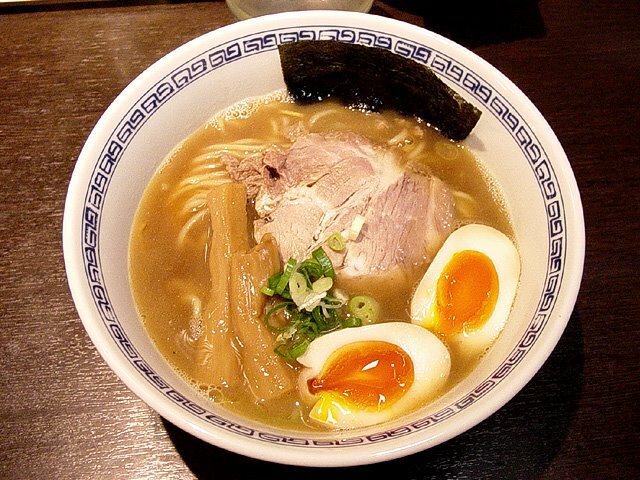 To make the ramen appeal more to Japanese the spiciness was significantly reduced, converted to a soup based ramen and overall portion size increased. 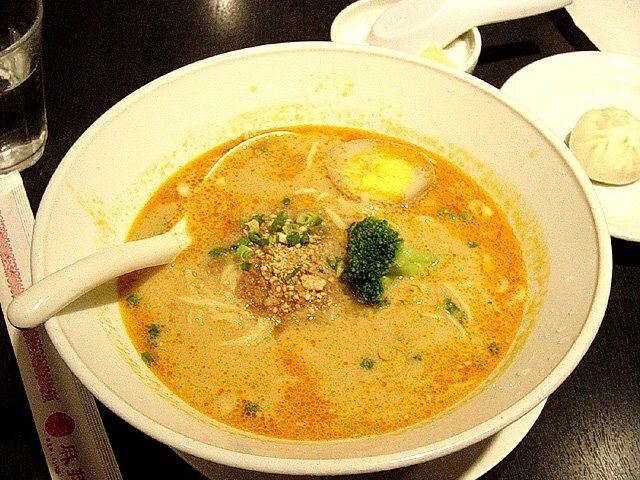 Tan-tan ramen soup is usually a pork bone/chicken based both blended with a creamy sesame sauce, it has the sourness of vinager and the spiciness from red chili peppers. The noodles are usually medium thickness straight or curly noodles. 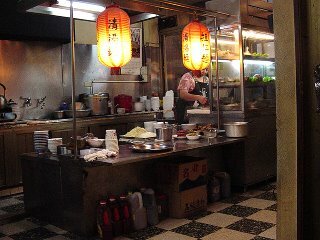 Toppings range from the standard Japanese cha-shu to the authentic Chinese ground pork, vegetables such as spinach and bean sprouts. This is my second entry for Koumen on this blog. This time I tried their 焦がし担々麺 (burnt tan-tan noodles). The Soup - is a pork based soup that is blended with roasted sesame paste to make it really rich and creamy. 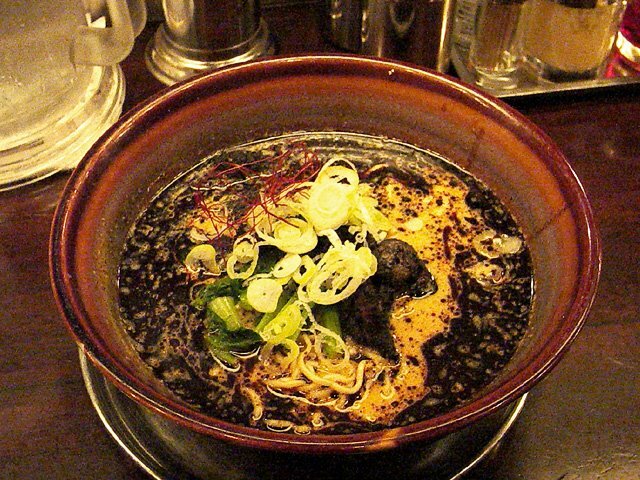 The soup is topped with a dark colored oil called ラー油 (ra-yu), which gives the ramen its burnt flavor. 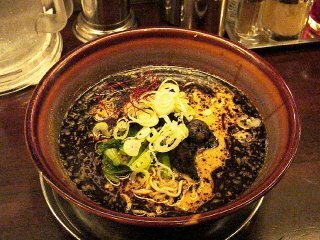 This ra-yu reminds me a lot of the burnt ramen I had at Nantsuttei or Go-gyou, though Koumen's burnt flavor is much more toned down. The soup isn't very spicy, probably only a 1-2 stars out of five. 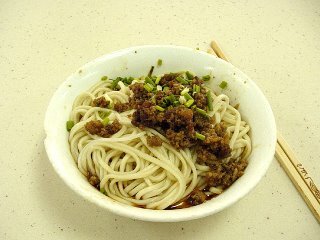 The Noodles - are medium thickness, curly noodles cooked firm. A great match with the soup. The Toppings - are some Chinese spinach, slices of spring onions, and roasted cha-shu pork. To match the soup they roast the cha-shu at very high heat, adding a thin burnt coating to it. The pieces of charcoal like substance that you see in the photo is actually the pork. Overall - a delicious combination of different flavors and aromas. 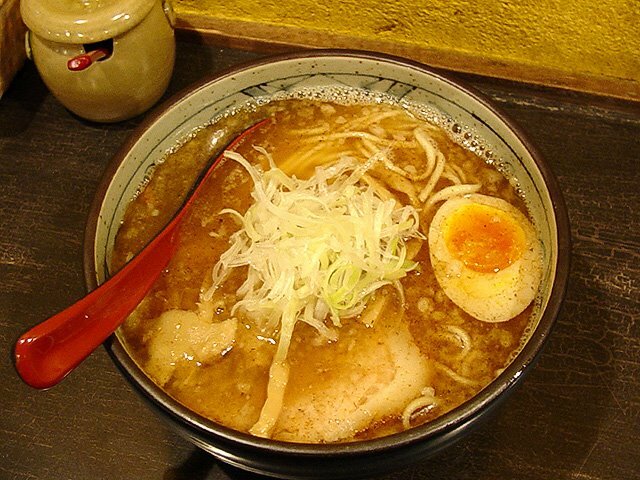 The tan-tan ramen is well balanced with its saltiness, spiciness and hint of sourness, while the sesame soup is a perfect match with the burnt flavored oil. However, if you want a bowl of really good tan-tan noodles in Japan then I recommend Asuka in Shibuya, their sesame flavors just seems fresher and stronger. 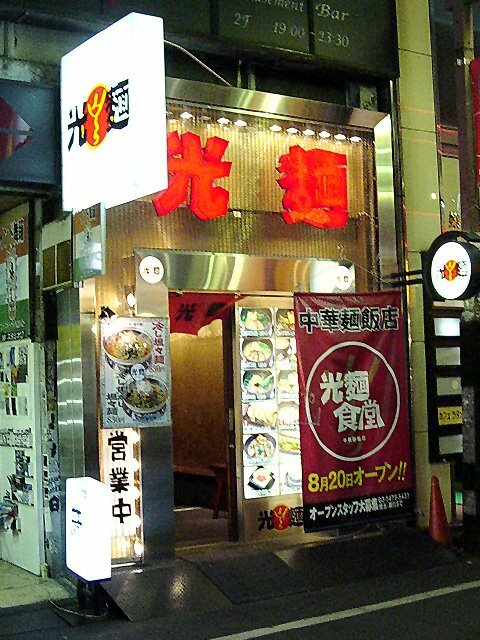 I also reviewed Koumen's other ramen dish 熟成光麺 (Jyukusei Koumen) in an earlier entry. 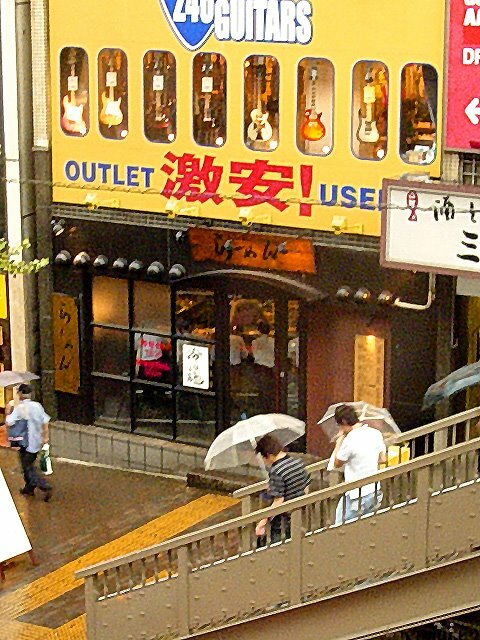 There are ten Koumen stores located in Tokyo, you can find a store in near the train station of Roppongi, Harajuku, or Akihabara. There are three stores available around Shinjuku station alone. BeiWanXin is a ramen chain store that has about half a dozen stores in Shanghai. While the quality of the food or service of BeiWanXin is no where near the higher end of what Shanghai has to offer, I wanted to find out more authentic Shanghai ramen, to try out what the locals have. So I visited one of their restaurants at noon on a weekday, ordering their 焖肉面 (menrou-mian) or slow cooked pork noodles. The Soup - was this watered down pork broth that was seasoned with soy sauce and some sugar. This soup was not as sweet as the other ramen I've had in Shanghai so far, it was slightly saltier but the taste was still very thin and not especially delicious. The Noodles - are thin, straight white ramen noodles cooked rather firm. Chewy and has a good texture, the Shanghai noodles usually don't dissapoint. The Toppings - nothing fancy here, a big slice of slow simmered pork. The met is tender and the seasoning is simple, slightly salty with a hint of some Chinese herbs. This seems to be the origin of the cha-shu pork that we see in Japanese ramen, even though the name cha-shu is actually from Cantonese. Overall - I doubt any foreigners will actually dine at a place like this. The food was half way decent, but the store decor and service will definitely turn you away. After entering the store and looking at the menu for about 30 seconds, the waitress stares at me as asks: "So?... what the heck are you going to order!?" But for roughly $.60 cents per bowl this is a reasonable price for locals. They also have other local favorites like steamed buns, etc. Here's the address if you decide to go. just show the address to the Taxi drivers. Hayashi is in Shibuya, located about 5 minutes walking distance south west from the station. Hayashi is only open 11am-5pm from Monday to Saturday, not very convenient to visit here unless you work in the Shibuya area. I made the trip to Hayashi four times before finally catching it when it was actually open. 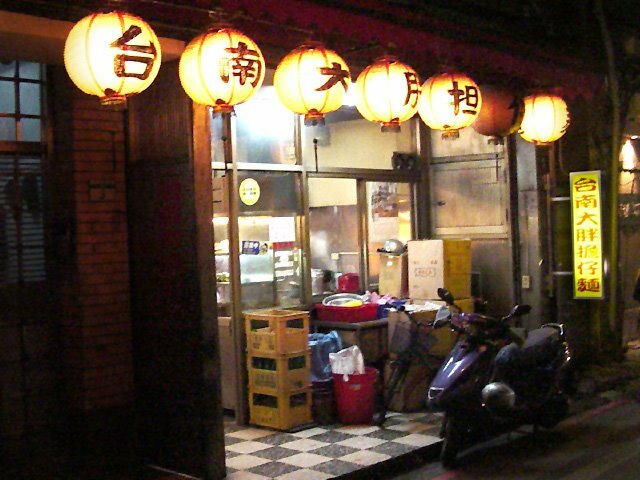 The store is very small, a bar counter type ramen store that seats only 11 people. 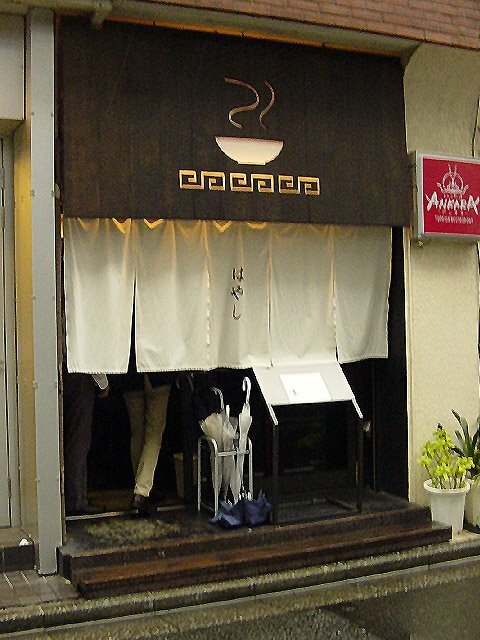 Hayashi is very popular and when I visited there were many people waiting outside in the rain, I waited about 20 minutes until I got seated. They have only three items on their menu: ramen, ramen with egg, or ramen with extra pork. I ordered the 味玉らーめん (ramen with flavored boiled egg). The soup - is a blend of rich chicken/pork bone soup and sardine/bonito soup. The deep flavor of the chicken soup is matched perfectly with the strong aroma of the fish soup. There is also a slight trace of 柚子 yuzu, a Japanese citrus that adds just the the slight sour and refreshing taste to the soup. The soup is not oily at all, rare for these rich seafood type ramen. The Noodles - are medium thickness, straight noodles cooked very firm. These heavy weight noodles have a strong presence, necessary to match up with the perfectly blended soup. The Toppings - are cha-shu pork, menma bamboo, nori dried seaweed and the flavored boiled egg. The cha-shu is very tender, yet the seasoning is simple, the flavor slightly dissapointing. The menma bamboo is soft and sweet. The boiled egg is delicious, but avoid it if you don't like the yolk half cooked. Overall - This place ranks up there with Aoba as the best rich seafood double blended ramen that I have had. I give it higher marks for achieving such flavor in the soup without using much oil. If you are going to be in Shibuya on a Saturday then have lunch at Hayashi, it is located south of the Markcity West shopping mall. 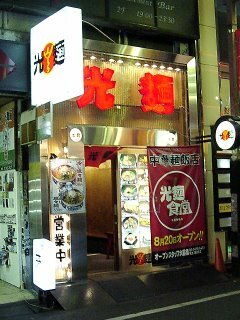 Kura-daiko is a Kitakata style ramen store located in Shinjuku near the train station's southern exit. I came here during lunch time on a weekday and there was a short line formed on the outside the store. I ordered their basic らーめん (ramen). 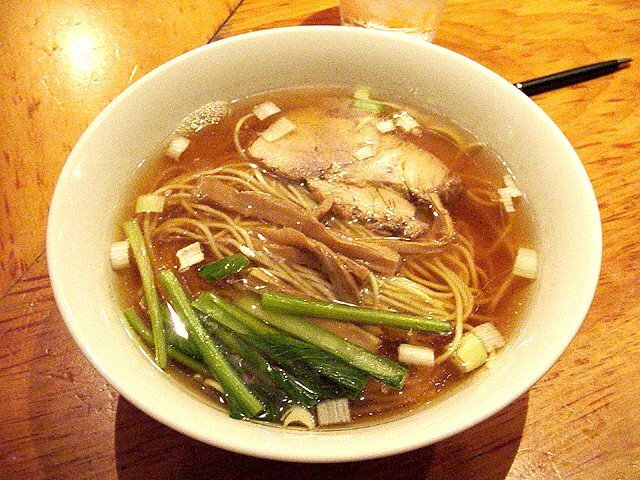 The Soup - is a chicken and pork based, soy sauce flavored clear soup. The seasoning is quite heavy, couldn't taste much of the flavor. The Noodles - are slightly thicker curly noodles. 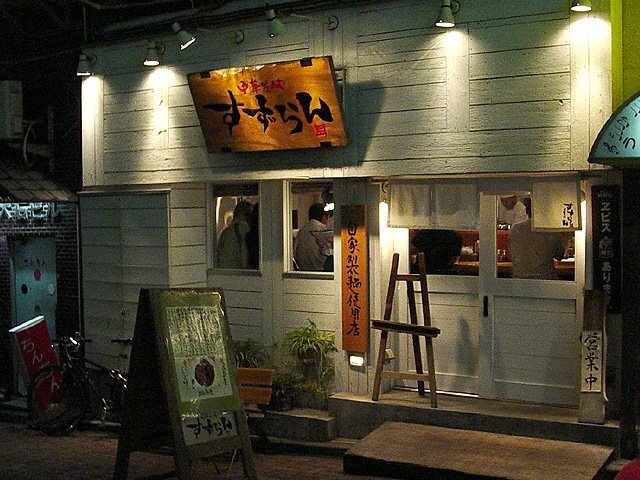 Very surpsrising since Kitakata ramen is famous for its flat, curly noodles. While the ramen noodles here are cooked firm, the overall texture of the ramen is only slightly springier than any other usual ramen. The Toppings - are cha-shu pork, menma bamboo and slices of spring onions. The cha-shu are thinly sliced, simply seasoned and tender. The bamboo is on the soft side and sweet. Overall - I don't recommend you visit this place, unless you are in the area during lunch and have to chose between this place and the McDonalds next door. Kura-Daiko share the same flaws of a lot of other chain stores where they hide the thin flavor of the ramen with too much salt. The noodles, which are supposed to be be the specialty of Kitakata ramen, are nothing special either. Asuka is a ramen store in Shibuya that is famous for its tan-tan ramen, unusual since tan-tan ramen is more often a side option on the menu, for those who occasionaly want to try something different from the common shoyu or miso ramen. I visited Asuka at around noon during a busy weekday, there was a short line formed on the outside of the store. Once inside, there was another long line that went around the crowded modest sized room. After about 15 minutes I finally sat down and ordered a 四川辛味坦々めん (Szechuan style spicy tan-tan ramen). The Soup - is a sesame sauce flavored soup that is rich in texture, yet sour and spicy. Usually tan-tan ramen soup in Japan is thick, with an almost like sauce like texture. Asuka's tan-tan soup is thinner, similar to the texture of miso soup. The sesame sauce is what makes Asuka's tan-tan ramen special, the freshly ground roasted sesame has a much stronger aroma than any other Japanese tan-tan ramen I've tried. 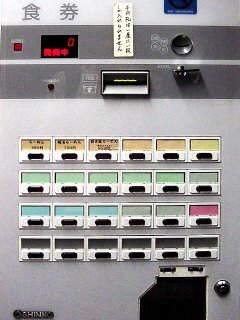 The Noodles - are thin, straight ramen noodles cooked firm. 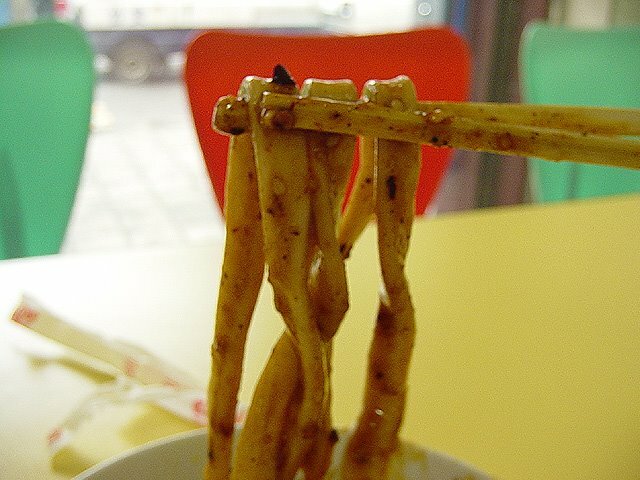 These noodles are dense and require a bit more chews when eating. A great match with the rich flavored soup. The Toppings - lightly seasoned cha-shu is cooked to bring out the natural flavors of the pork, it is tender and holds up on its own against the rich flavors of the soup. There is also a lot of slices spring onions and some boiled vegetables. Overall - the best tan-tan ramen I have had in Japan. The difference all lies in the freshly grounded sesame sauce, most other places have this pre-made sesame sauce that is rich but lacks the aroma of Asuka's. The soup also balances the salty, sour and spicy flavors just right. 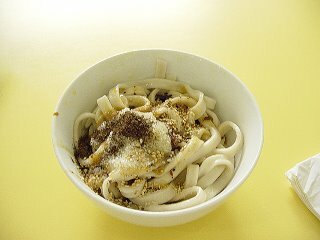 The noodles match the soup well, while the toppings are all there with a purpose. If you are ever in Tokyo in the colder seasons of fall or winter, drop by Shibuya and give Asuka's Tan-tan ramen a try. 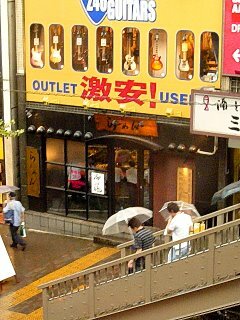 Asuka is located to the south of Shibuya station just across the pedestrian bridge, under a guitar store. Sakura-zaka is located in Shibuya on the Southern side of the train station, hidden away from the busier part of Shibuya it took some effort to find this place. The store is very well decorated, a bar counter style restaurant with studio lights and fancy lacquered wood counters. 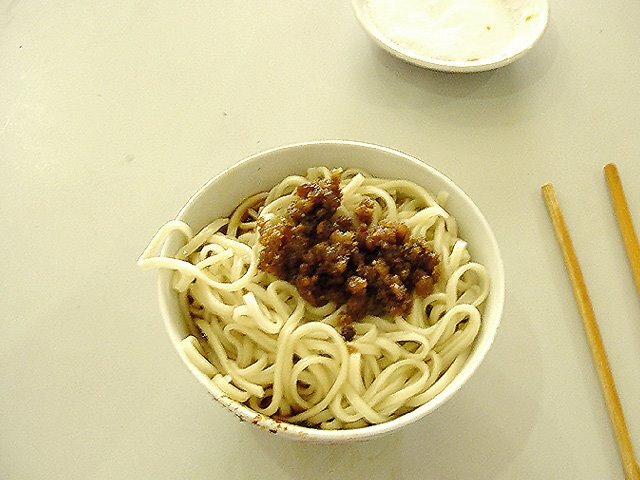 I ordered the 中華ソバ (Chinese noodles). The Soup - is a blend of rich tonkotsu based soup and dried bonita/sardines soup. 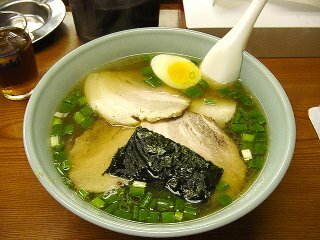 The soup has a very good balance of both the flavors of the tonkotsu and fish, but the layer of oil and pork fat makes the soup a little too heavy. 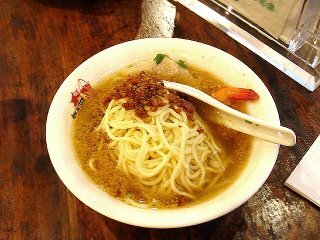 The Noodles - are medium thickness, straight noodles cooked quite firm. More firm and less on the springy side, the noodles are similar to the Hakata style noodles just thicker. Quite a good match with the soup. The Toppings - are cha-shu pork, a half slice of half cooked flavored egg, and a lot of sliced spring onions. The cha-shu is heavily seasoned but a good match with the heavy soup, the sliced spring onions are a nice counter to the oily soup as well. Overall - another wonderful rich seafood ramen that goes a little too far on the oily side. The balance of the tonkotsu and fish flavors are very well done, if you do come here then try to request less oil on the soup if possible. If there were only 2/3 less oil on this ramen I would've given it four stars. Hao-Ji Dan-Zai Noodles is a well decorated restaurant that serves Taiwanese cuisine and authentic food stand dishes. Decorated in the style of Taiwan in the 30's and 40's, the store is filled with antique furniture, photos and posters from that period, it captures the atmosphere of the open food stands in an environment that is busy, interesting yet clean and comfortable. I ordered a variety of seafood with my friends but the main attraction for me was the 担仔麺 (dan-zai noodles). The Soup - was by far the best dan-zai noodle soup that I have ever had. 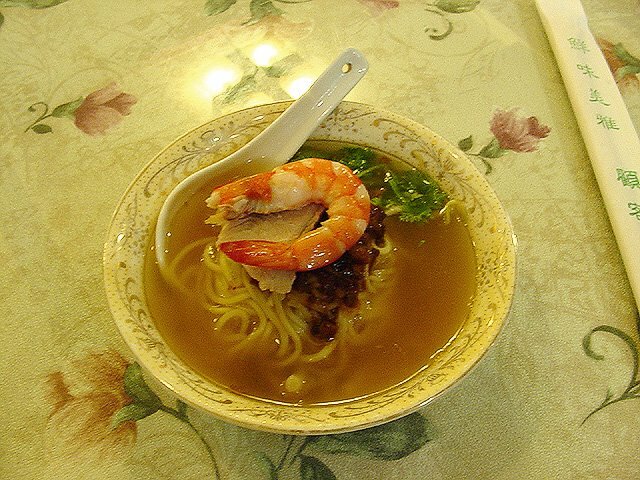 The soup is made from slowly simmered pork bone, dried bonita fish and fried shrimp. The soup is clear with very little oil in it, the seasoning simple yet the flavor is very strong. 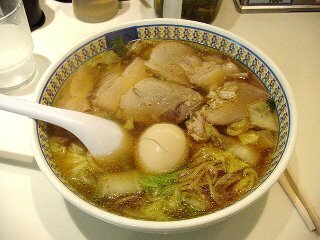 The Noodles - are medium thickness, slightly curly yellow ramen noodles cooked on the soft side. The Toppings - are a slice of lightly seasoned cha-shu pork, a flavorful boiled shrimp, and 肉燥 (rou-zao) special pork sauce. Each of them delicious. 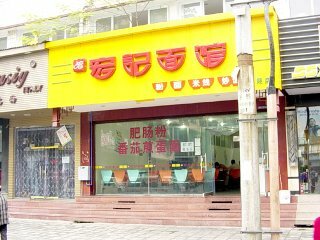 Overall - if you want authentic Taiwanese food, come to Hao-Ji Dan-Zai Noodles. The food, service, and decor are the best that I've seen in Taipei. Come here and start out with the Dan-Zai noodles, the servings are small so you can always order some seafood with beer or a variety of dishes with rice. They have food samples displayed right at the front of the store and menu's with pictures as well. 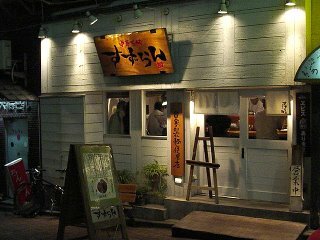 Hao-Ji is very popular and reservations are recommended, though you can always come here late at night. They are open until 2:30 am. Izu-Plateau Eagle sure is a strange name for a ramen place. 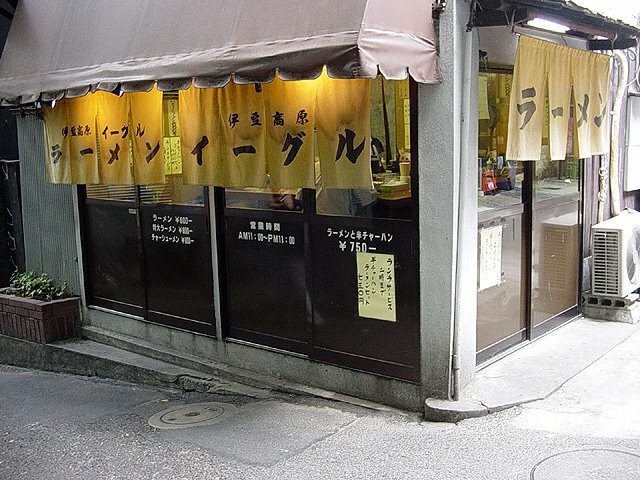 It is a tiny ramen store in Shibuya that is a short walk from the southern train station exit. I really didn't expect much when visiting this place but was quite impressed with their noodles here. I tried their チャーシューメン (Cha-shu ramen). The Soup - is a delicious chicken soup that is simple yet deep, which I imagine has been slowly cooked with a variety of vegetables to give it a nice sweet flavor. The soup is a great match with the slight soy sauce seasoning and green onions. The Noodles - are thin curly noodles cooked firm. These noodles taste just like the Hong Knog stlye noodles, the first time I encountered this style of noodles in Japan. 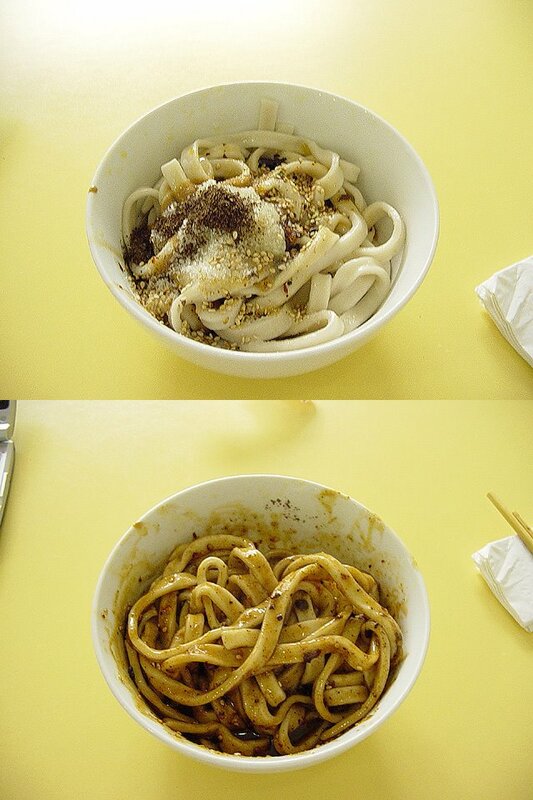 Unlike HK style noodles, these noodles are springy, smooth and much more of a joy to eat. The Toppings - are many slices of cha-shu pork, boiled egg, a slice of dried seaweed and a LOT of green onions. The cha-shu pork is very lightly seasoned, sweet and delicious. The green onions sweet and actually a great match with the soup. Overall - a ramen that is a little bit more Chinese style than Japanese, but simple and delicious none the least. A nice break from the heavy Tonkotsu ramen or fancy double blend soup ramen. This place reminds me of the old school ramen where they took cheap, simple ingredients and made them into something special. If you are in Shibuya, I'd still recommend Suzuran, which is close by and very similar in style to Izu-Plateau Eagle. 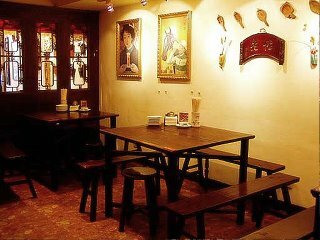 Brother Fu's Dan Zai Noodle is a restaurant in Taipei that serves some of the best authentic Taiwanese cuisine. 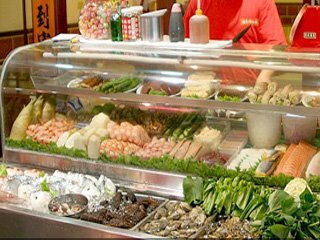 Brother Fu's restaurant has no menu, instead all the freshest seafood that he stocks for that day are displayed in the front of the store, you pick what looks good, tell him how you like it prepared, and Brother Fu will cook it fresh to order. Of course 担仔麺 (Dan-Zai noodles) are always available, which is really what I came here for. 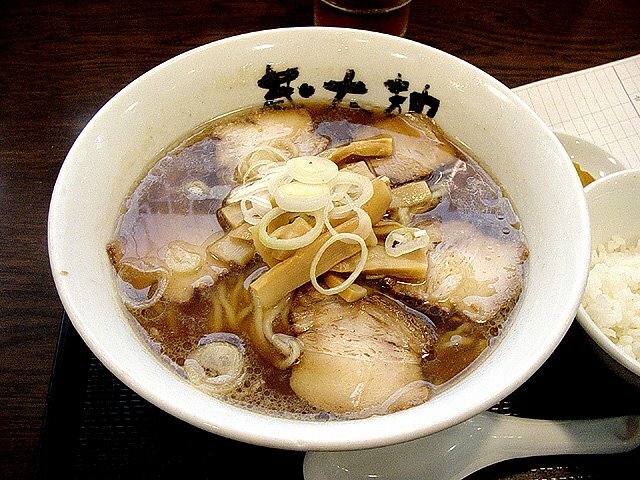 The Soup - is a simple pork bone soup that is slowly simmered, giving it a clear golden color rather than the creamy pork bone soup you see in Japanese Hakata ramen. 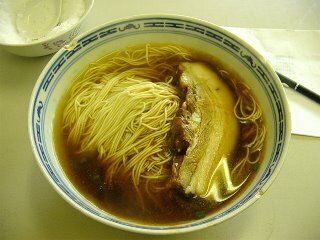 The seasoning is simply with salt, though the flavor of the pork sauce does overtake the soup. The Noodles - are the standard yellow medium straight Taiwanese noodles cooked on the soft side. The Toppings - are the a slice of cha-shu pork, a freshly cooked shrimp, some coriander and the very good 肉燥 (rou-zao) pork sauce . Brother Fu's pork sauce is especially rich because they only use the meat from the back of the pig around the neck area, which he claims to be the most tender and sweetest in flavor part of the pork. This just happens to be the same part of the pork that is used in pork fat cha-cha style ramen Japan. Brother Fu's (rou-zao) pork sauce was very delicious and the meat was so tender it practically melts in your mouth. The Dan-Zai noodle here is one of the best I have ever had. Overall - I highly recommend Brother Fu's restaurant for both their Dan-Zai noodles and its Taiwanese cuisine. The food was great, the service was friendly, plus they are open until 4 in the morning! perfect for the jet lagged travelers like me. If you do visit I also recommend their 魯肉飯 (pork sauce rice), sashimi, and chilled bamboo shoots. Also the 鳥魚子 (wu-yu zi) some kind of dried fish egg that goes great with beer. Suzuran is an awesome ramen place in Shibuya that has quickly become one of my favorites in Japan. 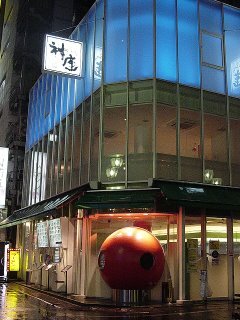 Located on the East side (the less busy side) of Shibuya station, it is just a short 5 minute walk from the train station. The store is a clean and brightly lit bar style ramen shop that barely seats a dozen people. I went there on a hot summer evening and the place was crowded with a short line waiting inside the shop. I ordered the first item on their menu, the 中華そば (chuka soba) or Chinese noodles. The Soup - is absolutely delicious. A simple yet deep chicken soup that has the right balance of different flavors and aroma. What a nice change pf pace from the heavy tonkotsu soups or complex double blended soups. The Noodles - are thin straight noodles that are cooked really firm. 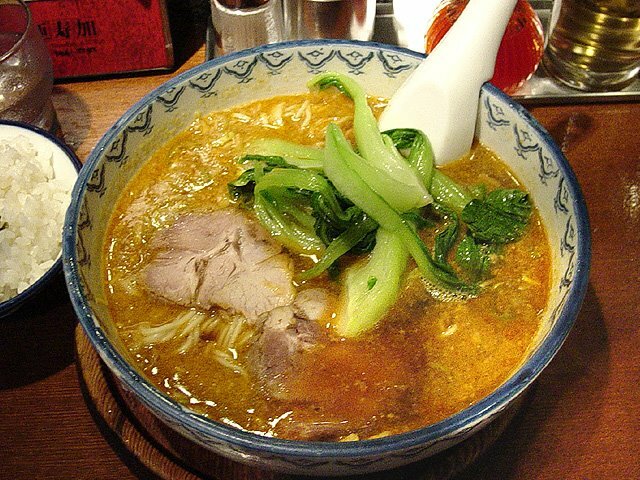 A solid ramen which texture and flavor match the soup perfectly. The Toppings - are simple yet good as well. The cha-shu pork is thin and tender, not much seasoning to it, just the natural sweetness of the pork. The were a few cuts of Chinese spinach, menma bamboo, and diced spring onions as well. Overall - the Chuka soba ramen was great, but what made me fall in love with this place is the large variety of other ramen available here. They have over 20 different ramen dishes all of which looked temtping, but what caught my attention was the 味噌中華そば (miso chuka soba) which uses very thick, flat noodles instead, and 麻油鶏麺 (sesame oil chicken noodles) which is a Chinese food stand favorite of mine. Suzuran not only has great ramen, but the nice atmosphere and interesting wide selection makes me want to come back again. 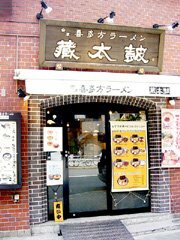 If you are in the Shibuya area (if you visit Tokyo, you are bound to visit Shibuya once), then drop by this place and give it a try. Just hope the lines aren't too long. 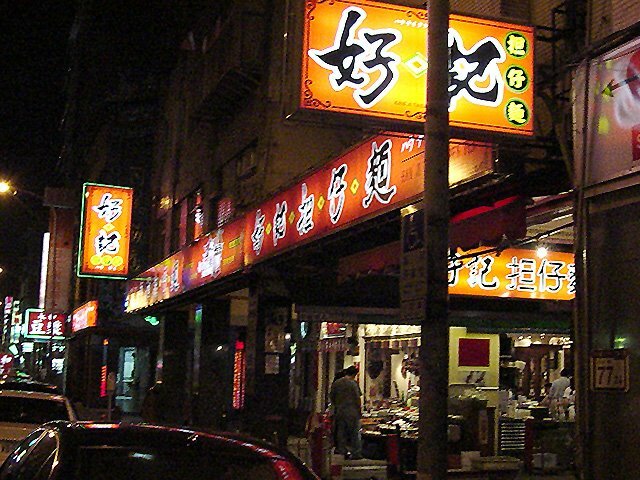 Dan-Zai noodles (or danzi noodles) was started around the time of the late Ching dynasty, in the city of Tainan in the southern part of Taiwan. Dan-Zai noodles were a food stand item, sold by fishermen in Tainan who had to stay on land during the typhoon season. Meant to be a late afternoon or late night snack, dan-zai noodles were served in small portions. 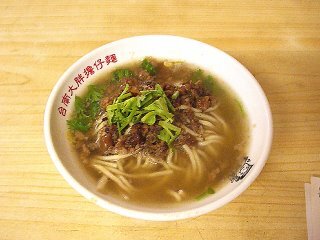 Even today even though dan-zai noodles are often served in Taiwanese restaurants and are still served in small portions, meant to compliment other dishes rather than a stand alone meal by itself. Dan-zai noodles usually consist of yelow ramen noodles cooked rather soft (typical among Taiwanese ramen), served in a light soup and topped off with 肉燥 (rou-zao) a special ground pork sauce made by simmering ground pork with shiitake mushrooms, fried shallots, onions, and seasoned with rice wine, black pepper and Chinese five spice.